The next generation of the previous Repit Brush. It has platinum plat that conduct heat faster than the previous one. It comes in two sizes: 24 and 27mm (mine is 27mm). When I got this magic brush on my hands, I was thinking like seriously this thing cost more than two million rupiah since it looks like a cheap, made in china hair styling product that sounded like rattle when you shake it. It isn't sturdy like the other hair styling brand let me say BabyLiss. Since I've been using it for two months, I can't say anything about the durability of this product. But... After trying this product, I fall in love right away with it! It took only a couple of minutes to style my hair. And the brush isn't heat conductor, so I can touch the brush and easily style my hair. Many of you have been asking how is it compared to BabyLiss Big Hair. Well, let me say both has a total different function. BabyLiss Big Hair is more like hair dryer that comes with brush (I hate the brush, it easily make your hair fall off) to make hair more voluminous (doesn't last long unless you use certain type of hair styling productor hairspray). 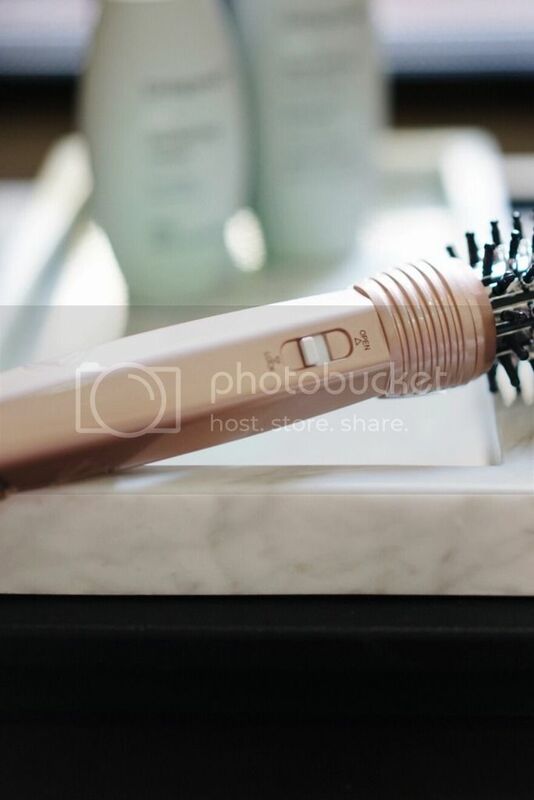 While Repit Brush is flat iron with brush that more easy to use for hair styling (straight, volume or curl you decide). I can use it two ways as a brush and as a flat iron. Personally, I love the Repit Brush more because it is easier to use. 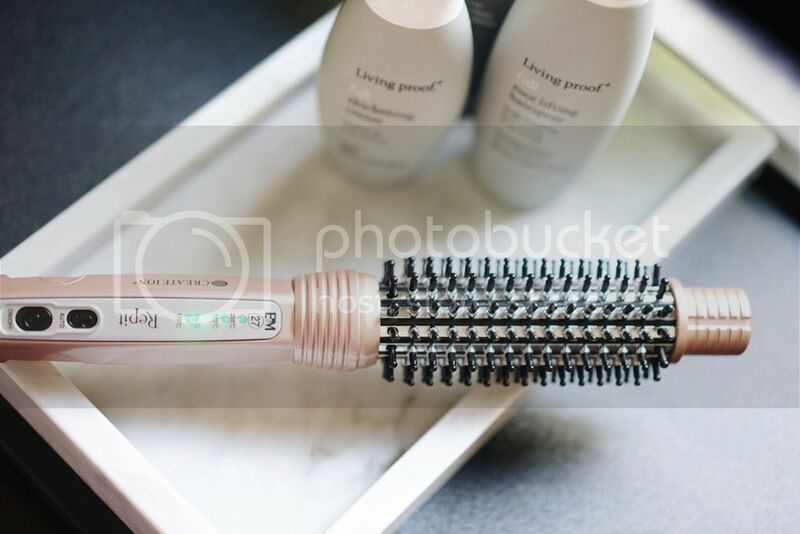 I use Living Proof's Full series before styling my hair with Repit Titan Magic Brush 2in1 to make my hair looks more voluminous. 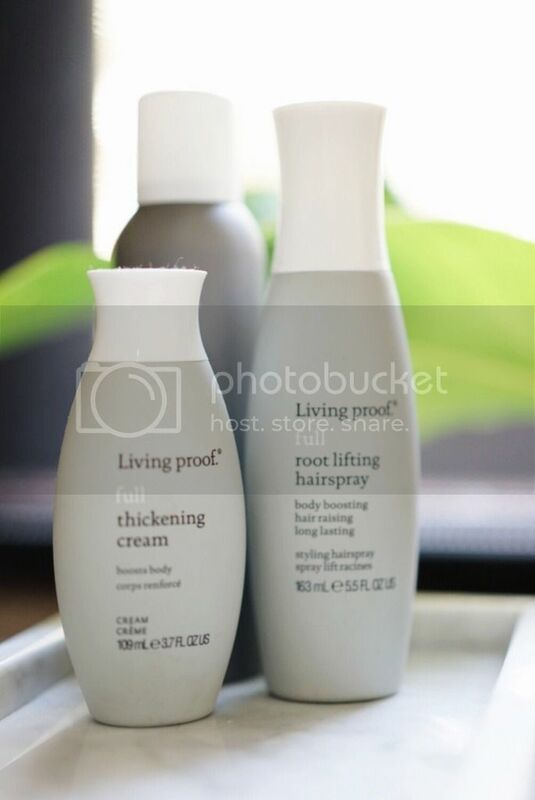 After washing my hair using Ka'fen Refresh shampoo, I apply Living Proof Full Thickening Cream on my damp, towel dried hair and spray Living Proof Full Root Lifting Hairspray on the roots. 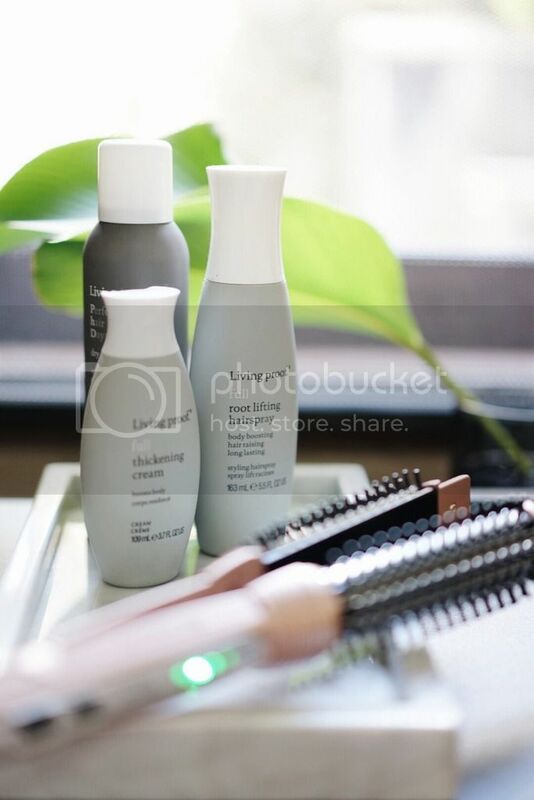 After applying these product,s I blow dry my hair until it’s dry and use the Repit Brush to style my hair.